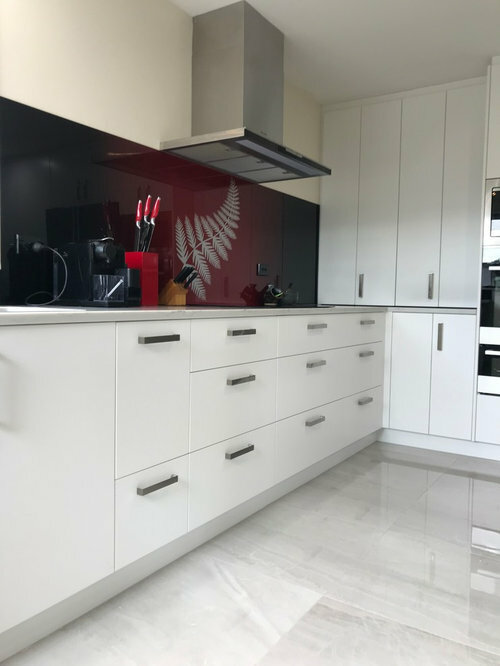 Our customers' brief was that they wanted to create a kitchen where there was plenty of space for the grandchildren to be part of the action when grandma was working in the kitchen. The original kitchen wrapped around 3 walls of the space and then had a return bench with a raised bar cap. 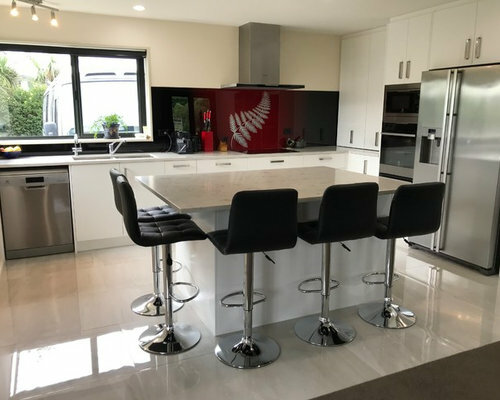 Now the simple L-shape kitchen and island with seating on two sides ticks all the boxes while providing great storage and bench space. 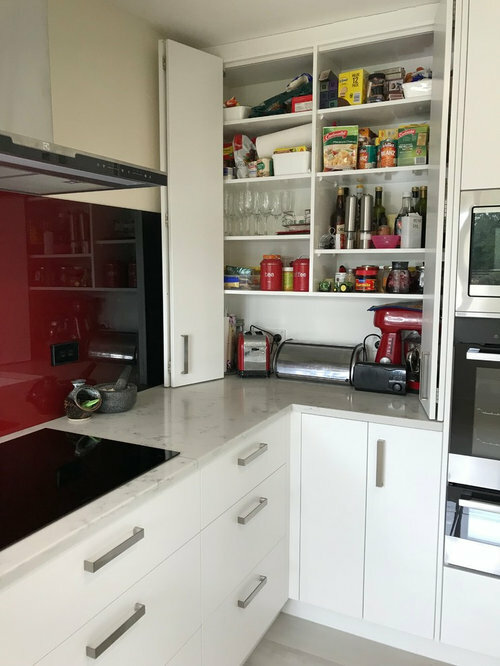 Benchtops are Essence Carrara engineered stone; cabinetry Dezignatek Classic White Satin. 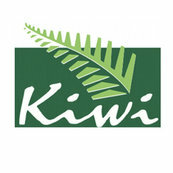 The splashback was designed, made and installed by AJ Creative Glass. 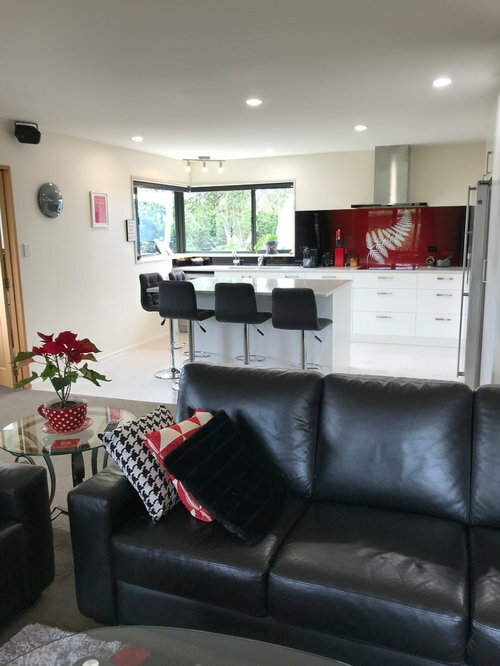 The black, white and red theme extends into the living spaces which adjoin the kitchen. 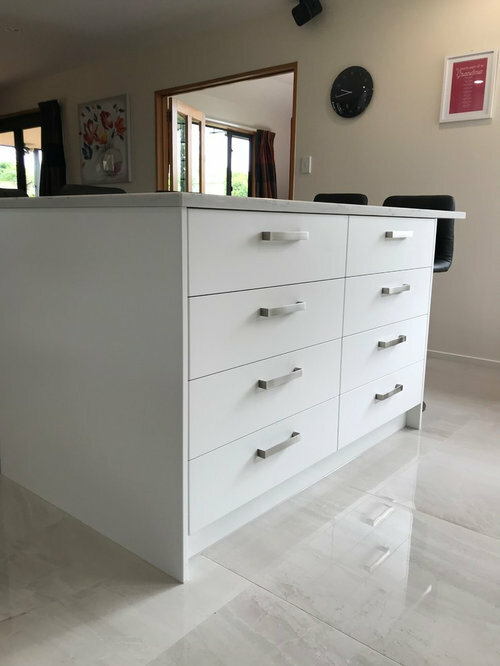 Masses of drawers and storage space are appreciated by our customer. This on-bench pantry is a great place to keep the toaster tucked away - easy to pull it forward to use when required and all the spreads are right there ready to use. 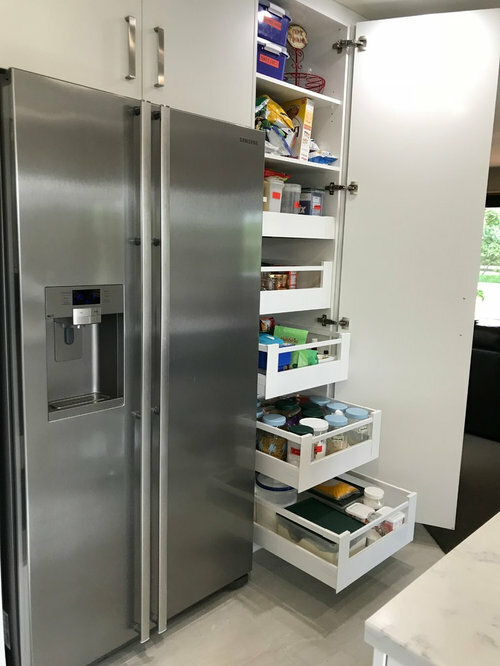 Another Blum Space Tower pantry unit with internal drawers. Our customer wanted lots of seating around the island so we made the bench overhang on the back and at one end.